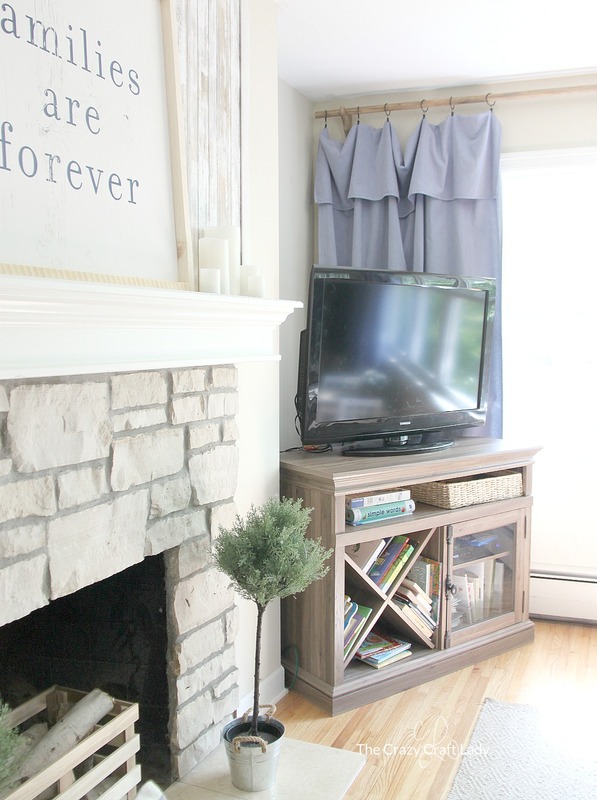 Save TONS of money on drapery with these DIY no-sew drop cloth curtains. 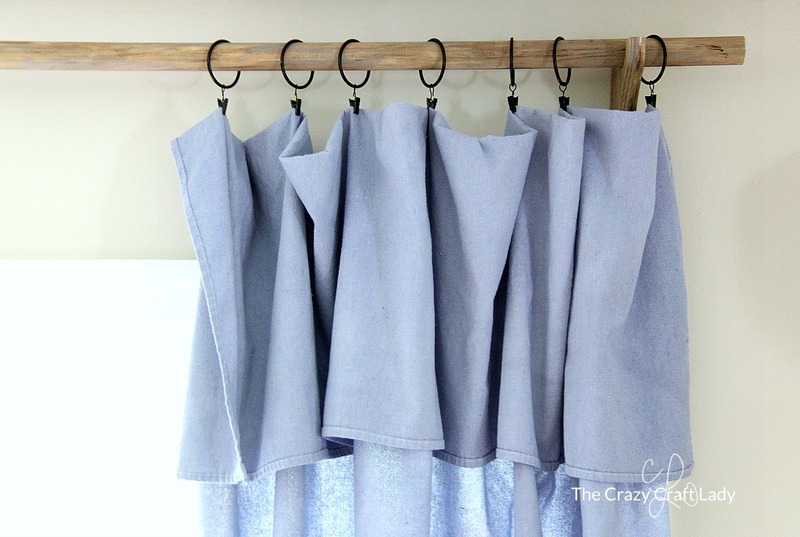 Make easy and inexpensive curtains and a DIY curtain rod on a tiny budget. I’m going to admit a shameful fact here: we went almost three years in this house without living room curtains. I know, I know. I don’t know why, but I seem to be completely incapable of making decisions about this one room. Why!?!? 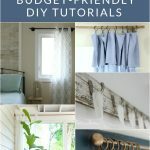 Related: Decorate your home with window treatments that you love and can afford, with these 10 inspiring tutorials for DIY curtain panels. But I am happy to report that I did finally commit to curtains, and of course they were a DIY project. 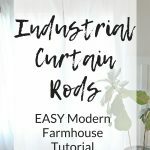 I fell in love with this DIY curtain rod tutorial from Maison De Pax, and I knew just what I had to do. I know the hole saw looks intimidating, but it’s really easy to use. First I stained the wood brackets and dowel with a mix of Golden Oak and Early American. Then I distressed with chalk paint and more Early American stain. By going the DIY route, I saved a TON of money. 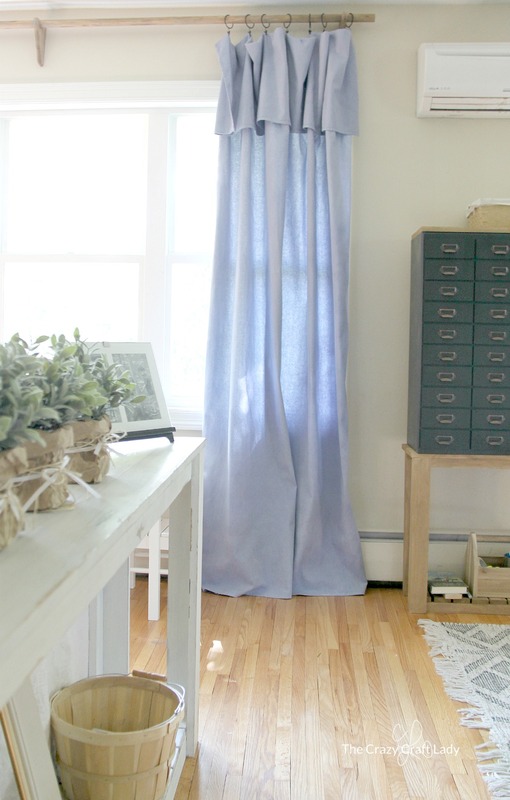 I really liked using this kind of fabric dye to get the just right shade of blue on my curtains. Fair Warning: Don’t even try to do this in a plastic tub. It makes a HUGE mess, and will lead to uneven dyeing of your fabric. Just use the washing machine. Add salt and the fabric dye to a hot water cycle. Be sure to bleach out your washing machine after! I also ordered drapery rings, which saved me the hassle of having to add grommets! 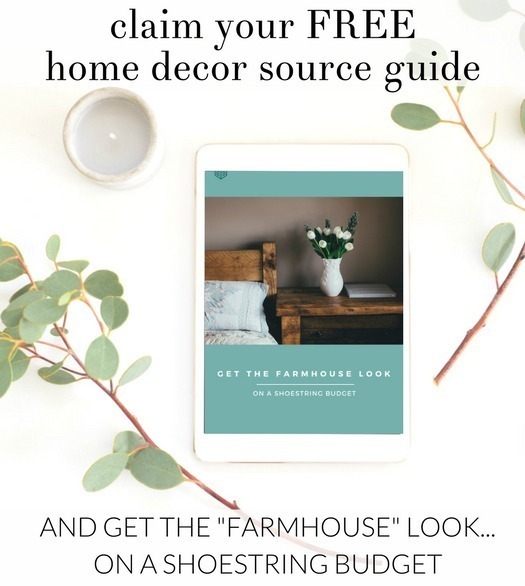 Be sure to select a drop cloth at least a foot longer in length than you need. 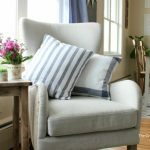 This way you can fold over the top of the panel, eliminating the need to sew a bottom hem. I like my curtains to just touch the floor, but it’s all personal preference. 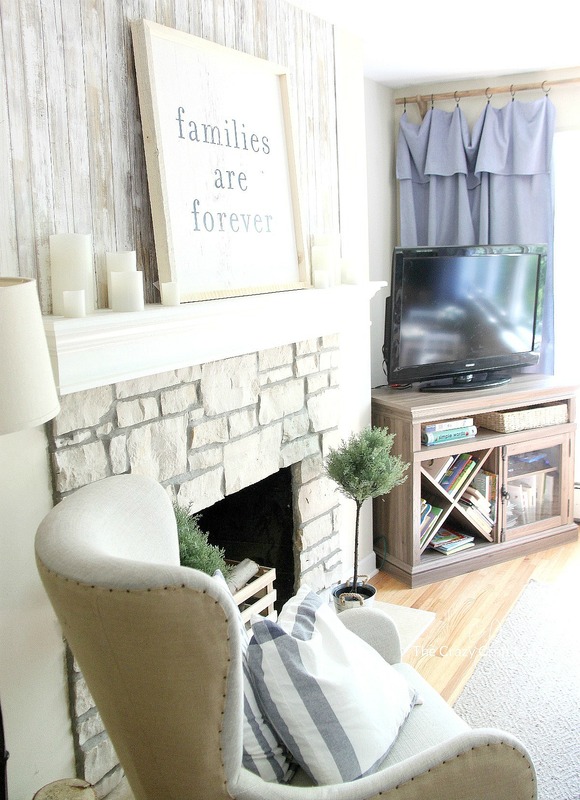 Did you bleach your drop cloth first? How wide is your window? I am wanting to use drop cloth curtains and am trying to figure out what size I need to get and how many. My window is like 120 inches wide. Hi Kristin – My windows are about the same size (4 panes wide). Drop cloths come in different sizes, so you can do whatever you want. My curtains don’t cover all of the windows entirely, but I don’t close them. They’re more for decoration. You would probably need 4 of the panels that I have. Hi Aimee, these look great. 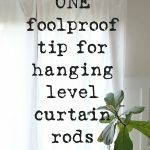 I love drop cloth curtains and had some on my patio and then I did some for my daughter’s condo, but just as they come. Hi Toni – I have a top-loading washer. There are other dyeing options on the package directions, though, if you don’t want to use the washer! Aimee, you are super creative. I really like the idea of making one for my kitchen. what if i will use steel rod instead of wooden. I am thinking of making it in light green color. Thank you so much for the idea, i will share my curtains once they will be ready. I will also subscribe to your blog for more posts like this. Hi Hannah! So glad you like the project. I don’t see any problem, as long as the ends of the rod are smooth and nice looking! Can’t wait to see how this works out for you! I this tutorial everywhere and decided to try it. I bought several drop cloths from Home Depot (as many suggested). They all have a seam right across the middle. In every tutorial, nobody mentions this seam. I don’t see one in them. How is it that every single pair I bought happens to have this, but nobody else’s does?? Maybe you bought larger drop cloths? I bought mine at the Home Depot, too. No seams in mine. So sorry! This is an awesome post. All pictures are fabulous. You are so creative. I think you did a great job. 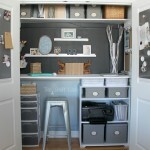 Will try creating one myself to store some of my make-up essentials to lessen the space in my room. Keep up the great work! I’m glad you put this article. Seriously, thanks for sharing this awesomeness. I just came across your post. I ❤️ it!!! Everything is gorgeous!!! Got a question for you. I see you used denim blue dye but after looking at it online it looks darker than your curtains. Im wanting a color like yours to go in my husbands office so did you not dye them as long as the directions call for? How did you get that light of a shade? Hey Ginger – the dye looks really dark, but it didn’t color my curtains that dark. Maybe it’s an absorbancy thing??? Hi Denise – the brackets have metal plates on the back, so I just attached with screws to the wall.